Obituary for Dorothy "Dottie" J. Armstrong | Carlson-Shugarts Funeral Home, Inc.
Dorothy J. “Dottie” Armstrong age 92 (formerly of Munderf, PA) currently a resident at the DuBois Nursing Home died on Sunday June 17, 2018 at the nursing home. Born on May 11, 1926 in Clarion, PA; she was the daughter of the late Roy J. and LuLubelle McKission Beck. Dottie was raised from a very young age by her step-father Rends (Fuzzy) Nosker and her mother LuLubelle Nosker. She was married to Robert E. Armstrong on October 2, 1944 in Munderf at her step-father’s home by Pastor Kerns. He preceded her in death on October 30, 2012. She was a homemaker. 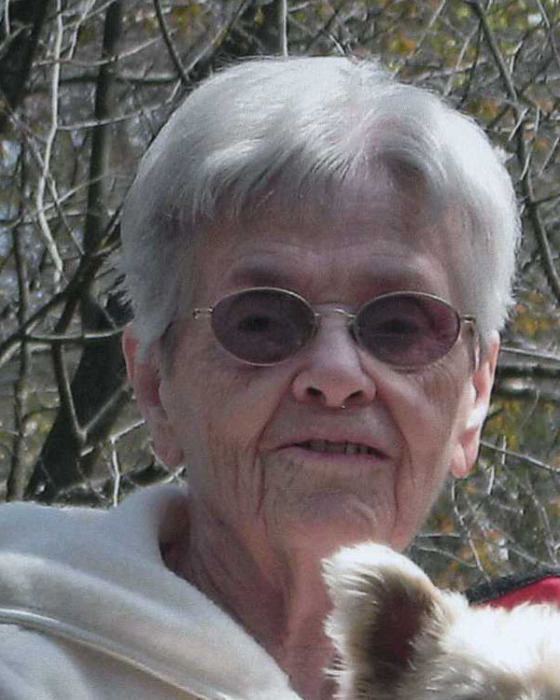 Dottie was Methodist by Faith and had a great love of the Lord. She enjoyed crafting, cooking, baking, fishing and spending winters in Florida where she enjoyed walking on the beach and feeding the sea gulls. Dottie loved poetry and wrote a book which was published. She enjoyed visiting with friends and family and always put a smile of everyone’s face, and a cup of coffee with a piece of pie in front of them. She was an awesome mother to 6 living children: Joyce (John) Showers and Marcia (Randy) Newell both of DuBois, PA; John (Tina) Armstrong and Dan Armstrong both of Munderf; Becky (Joe) Bona of Kersey, PA; and Brenda (Rich) Delia of Brockway. She is also survived by 17 grandchildren and 35 great grandchildren. In addition to her parents she is also preceded in death by her oldest son Ronald (Linda) Armstrong whom died on January 28, 2018 and a great grandson Garren Stamp. Calling hours will be on Tuesday June 19 from 4:00 PM to 8:00 PM at the Carlson-Shugarts Funeral Home Inc in Brockway. The Funeral Service will be held on Wednesday Morning at 10:00 AM also at the funeral home with Rev. David Nagele officiating. Burial will follow in the Munderf Cemetery. While floral arrangements are appreciated, memorial donations to the DuBois Nursing Home (Memory Lane Unit) are preferred for the loving and compassionate care she received during her stay there.